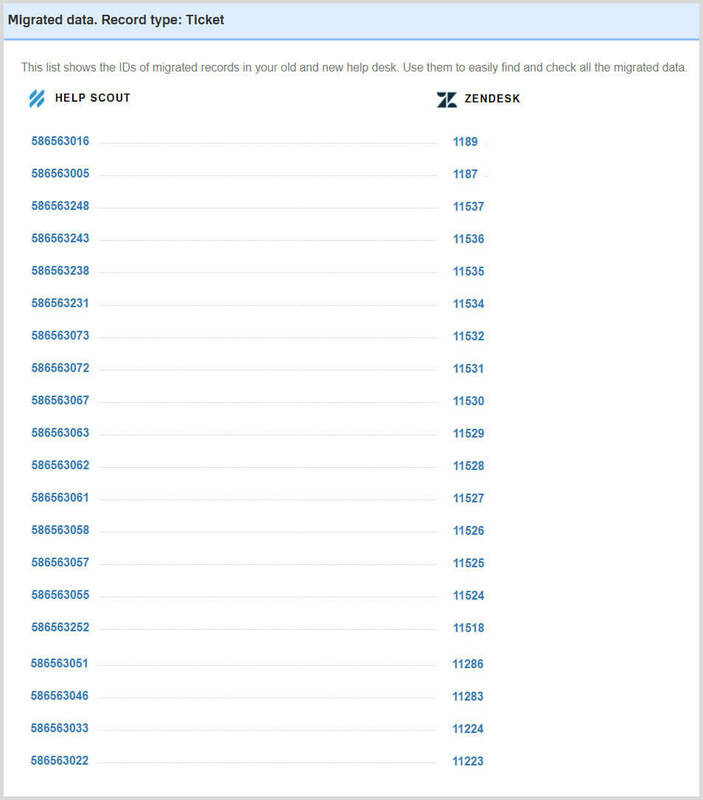 Carefully look through each ticket and check if the Type, Source, Status, Priority, Custom Fields, Requester, Agent, Tags migrated correctly. Additionally, if you’re migrating the Knowledge base check the statuses of articles. 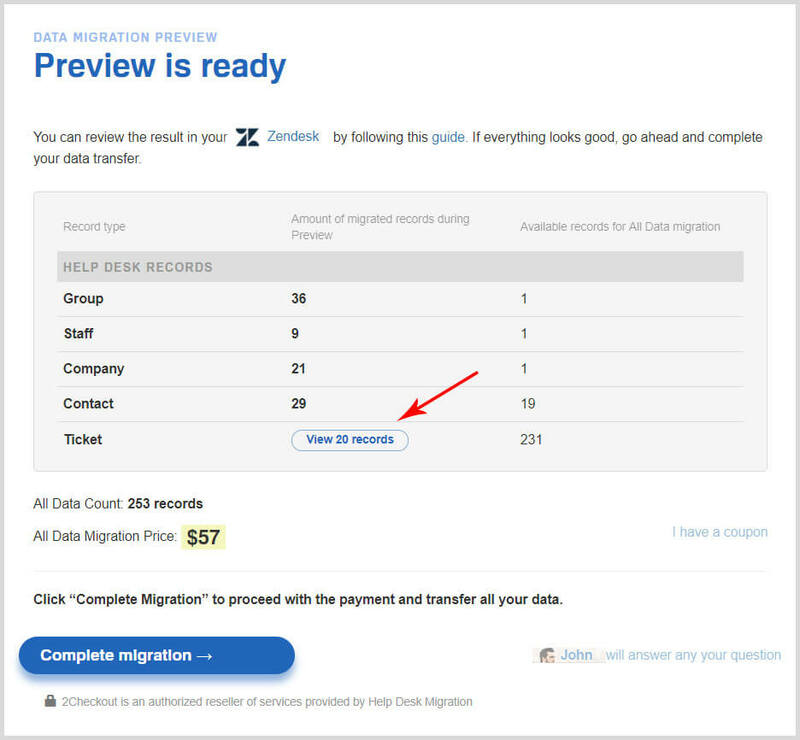 If you’re satisfied with the result of the Demo Migration, start the Full Data migration.